On February 3, 2014, Associate Justice of the United States Supreme Court Sonia Sotomayor ’79 delivered the James A. Thomas Lecture at Yale Law School. 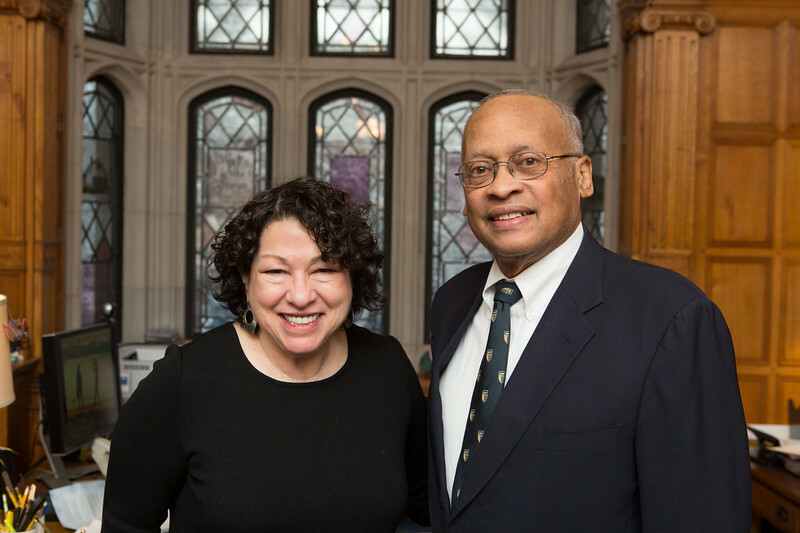 The Lecture took the form of a “Conversation” between Justice Sotomayor and Linda Greenhouse ’78 M.S.L., Knight Distinguished Journalist-in Residence and Joseph Goldstein Lecturer in Law at Yale Law School. Photographs by Harold Shapiro.